Imagine waking up in the morning and brushing your teeth alongside the cockroach living in the sink; listening to the buzzing of the bees that moved in to your backyard while you eat breakfast and saying goodbye to the possum in your garage when you leave for work. It's a wonderful life isn't it? This is exactly what the absence of pest control in Melbourne looks like. When it comes to infestation of any kind, eradication is a must. And that's the difference that pest control in Melbourne brings. 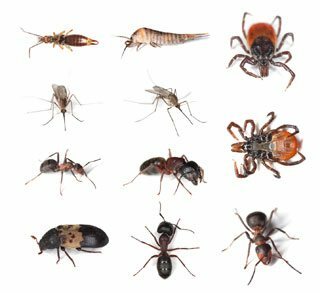 Be it a minor or major, our exterminator is just a call away to help you get rid of the army of ants marching away, or the possum that's been keeping your pet up all night while trying to make your house, its home! With 26 years of experience, we specialize in residential and commercial pest control services. We understand that waiting is definitely not an option when pests come barging into your house and that's why we provide same day service by experts certified by HACCP. OUR PROMISE TO YOU! Protech Pest Control is a customer-focused organization and is 100% committed to providing you with the best experience possible when it comes to treating your property and making your home or business a safe, clean and pest FREE, place to live and work in. We set ourselves apart from the competition with our emphasis on certifications, training and continuing education. At Protech Pest Control we strive to promote awareness, education and ongoing training across our growing infrastructure. Part of our mission is to establish a group of certified professionals to serve the public, our partners and our customers, with honesty, integrity and professionalism. Wondering how we do it? Naturally! Our services ensures 100% customer satisfaction in Melbourne, comprises of path breaking technology that's not only effective to drive the pests away but is environment friendly as well, insuring that your family and your health aren't affected by harmful chemicals and neither are your surroundings. When you're planning on buying property: Investing in property is a something that needs to be done with your eyes open after all, building a home or buying an apartment is a matter of the heart. We'll help you scan the area to check for any past termite infestation that could weaken the property structure significantly. When moving in to your new house: We'll perform a thorough inspection of the property to ensure that you're housewarming party doesn't have any uninvited pests. 6 months after moving in: Pests and insects can get attracted to a new inhabited place. Finding food and nesting areas where there weren't any before can attract these little nuisances to your property considering you did make it a very lovely and attractive home. Yearly checks: Planning a calendar to get regular checks done for residential or commercial property is a great way to ensure a happy and healthy environment and avoid the unexpected menace and let's face it, this is one habit you'll be glad to have! So call us today to ask us a question, or to get us on board to help you make your house a lovely home.